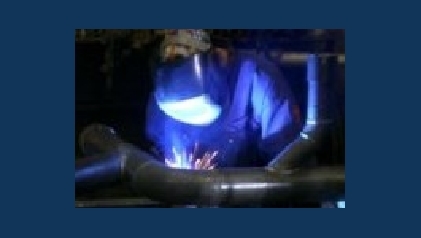 September 2006 – Because of a filled orderbook and good prospects for the near future, De Hoop currently has various job opportunities for shipbuilders (metal workers, pipefitters, welders, carpenters, crane driver, etc.) with the right mentality. See the PDF file for more information. The combination of a roast pig (70 kg ready to go), self made boats ready to launch and nice weather turned out to be great ingedients for a family-day. We thank the organisers for their input! See the PDF FILE for some photo’s. 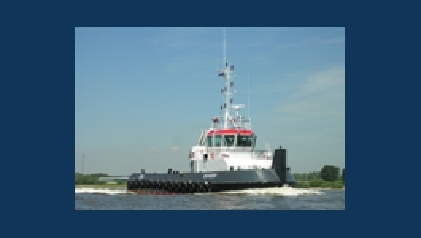 Rotterdam 25-07-2006, Today the ice class tugboats ISKANDER and ALPAMYS where delivered succesfully. 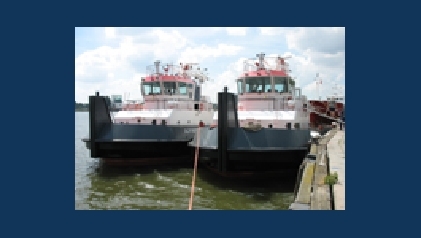 Both Yard and Shipowner are proud of the result and look back on a succesful build period. The vessels will soon head for Kazachstan. 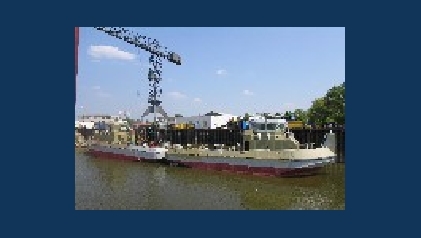 Tolkamer 7 July 2006 – With the flag hoisting ceremony, Shipyard De Hoop has started the works on the new Mexican order. Today, 4th July 2006, the first tugboat YN 419, called ISKANDER for Kazachstan successfully completed her trials. De Hoop has the pleasure to announce a new order. 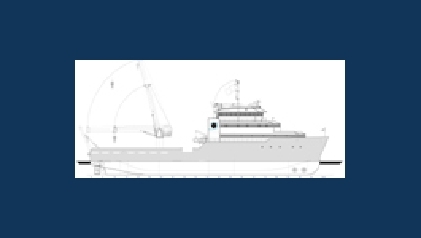 The new Offshore support vessel will be build under yard number 423. 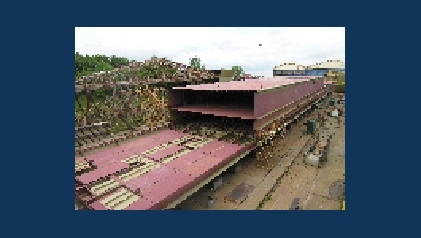 Tolkamer 2/6/2006 – Today the steelcutting of yard number 422, the MPSV for Groupe Bourbon has started. The production of yard number 421 is on full swing. The keellaying took place on last month, 12th May, and now on the 1st June already 9 sections are assembled. 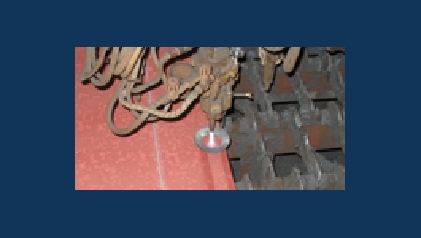 10.05.2006 – Today yard number 420 was launched. Monday 8-5-2006 – In a record time of less than 4 weeks (!) 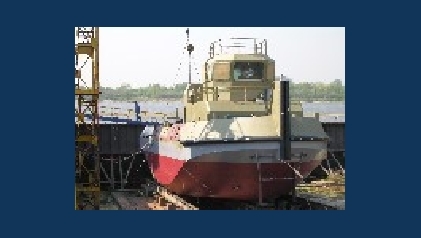 after keellaying, the ICE class push/tugboat YN420 is now ready for launch.